Big Data doesn't require a big price tag. Use these free resources to jumpstart your data collection efforts. Information is power – especially in the world of e-commerce. You can make a much larger impact and save money by gathering data from different big data sources on your market. But where can you find reliable, actionable information without spending a fortune? Big data doesn’t get bigger than Amazon. Amazon Web Services provides cloud-based infrastructure for most of the world’s largest companies, as well as a huge percentage of smaller firms and startups. In an effort to give back to the community that they serve, Amazon has stored, organized and published a gargantuan collection of public data. For me, the most useful data has been in their economic data collection.The information includes the Federal Reserve’s Economic Data, as well as a database of federal contracts. Google Can Help You Navigate Big Data Resources Too! We all turn to Google for quick answers to common questions. But did you know that you can navigate a treasure trove of free big data resources by navigating to their public data directory? The first set of data you’ll see is intriguing, but probably not the most useful for companies trying to gain an edge on the competition. I enjoy diving into the Global Entrepreneurship Monitor (GEM) when considering new markets to expand into. Areas with heavy entrepreneurial activity can be low-hanging fruit for B2B firms. Big data isn’t just for digital technology companies. Flower Telecom and other companies are using it for inbound call management. They have found that big data can make it easier to track the performance of telemarketing strategies. Telephones can be integrated with digital technology to monitor them better. You’ll find that the Chambers of Commerce in many cities are beginning to make their data available to the public. They do this in order to attract new vendors, startups, and large corporations into their cities. Bringing in a new business can create jobs and improve the tax base. Keeping their motivations in mind, you can take their data sets with a grain of salt. They are definitely motivated to juice the numbers where they can. For easier data analysis, I like to look at cities that offer this data within Junar’s framework. For example, the city of Anaheim provides comprehensive information about their city budget, local demographics, and economic activity. A fellow author here at SmartDataCollective outlined his favorite, free resources for big data. Included in his list was the US government’s public database of medical statistics and records – including claims data from Medicare, the country’s public healthcare system for seniors. The information in this database is exciting because it empowers medical startups and innovators to learn more about the health of the world’s last remaining superpower. The US healthcare market is a $3.2 trillion industry. Even a tiny slice of the pie can turn a startup into a multimillion-dollar juggernaut. I’ve seen startups in the health and wellness space code API’s that plug into this data set. The resulting flow of claim-level medical data allowed them to focus their efforts on the most lucrative aspects of providing healthcare to the masses. This data can even be used to identify local markets with a high demand for specific medical services or procedures. For example, a medical startup that wants to provide a better medical device for treating gunshot wounds can cross-reference the data in this database with criminal gun violence statistics. They’d be able to focus their medical marketing and researching in focused markets with a high demand for lifesaving care. In conclusion, I encourage you to explore every free resource for information in the digital age. The more information you have access to, the more informed and effective your decision making will be. 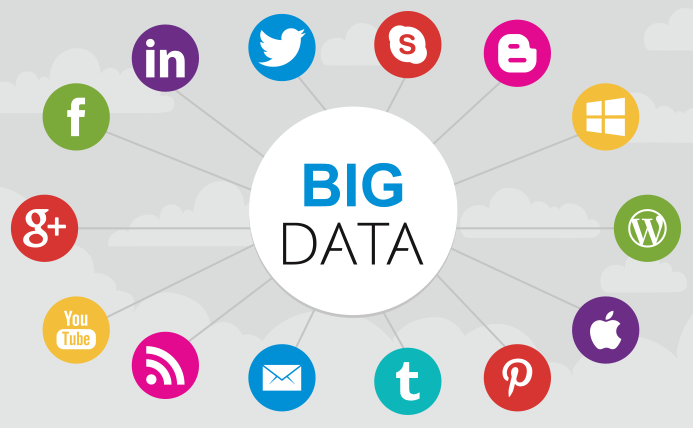 Big data is exciting because it can positively impact virtually every aspect of modern business. From solving HR challenges to improving returns on financial investments, both consumers and enterprise consumers of data are demanding more. It’s my hope that the sources I’ve outlined in this article help you to gather all of the data you need in order to stay competitive and even jump ahead of the competition.